Scientists are warning that historic flooding could soon deluge parts of several states along the lower Mississippi River, where floodwaters could persist for several weeks. The flood threat in the South is being discussed Thursday, when the National Oceanic and Atmospheric Administration releases its 2019 spring outlook. Experts have scheduled a briefing on their flood forecast at the National Water Center in Tuscaloosa, Alabama. Thursday’s report is aimed at helping emergency managers and other safety officials prepare for flooding. The expected surge of water from the north is unwelcome news in parts of Mississippi. The Mississippi River is already swollen. Since last month, it has been flooding some communities unprotected by levees. That’s because smaller rivers can’t drain into the Mississippi as normal because a floodgate that protects the region from even worse flooding by the big river has been closed since Feb. 15. Around Rolling Fork, Mississippi, townspeople first noticed water rising from swamps near the Mississippi River in late February. 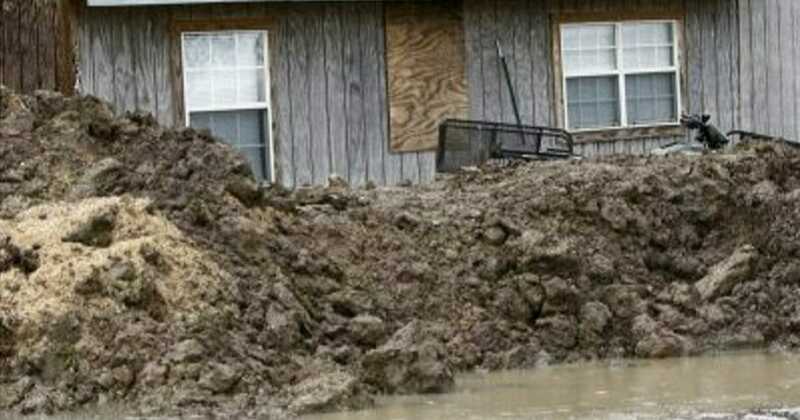 The water eventually invaded some homes in that community, about 40 miles north of Vicksburg. The specter of major flooding on the Mississippi River upstream from New Orleans is a more perilous situation now than in years past, some researchers believe. That’s partly because the river floor has risen significantly higher over the years as sediment has collected in the river bottom, according to Louisiana State University hydrologist Yi-Jun Xu. The situation is so serious that Xu said a “mega flood” could overpower a giant flood control structure north of New Orleans and send the Mississippi River rushing down another path entirely, creating a new route to the Gulf of Mexico. That would allow the Gulf to push saltwater upstream into the river, ruining the drinking water supply for metropolitan New Orleans, according to a summary of Xu’s 2017 presentation to the American Geophysical Union.